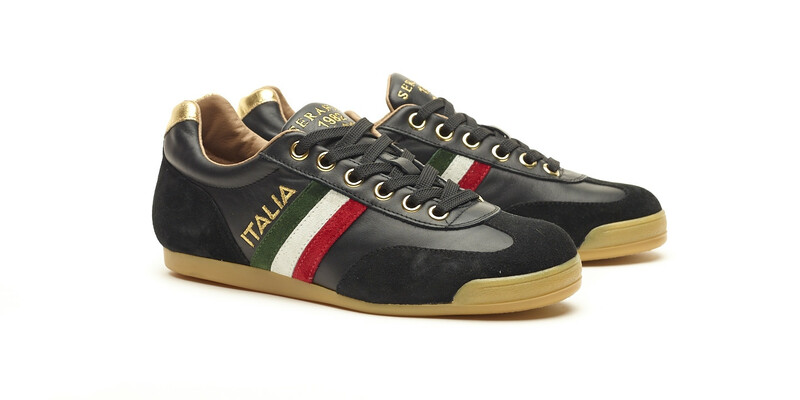 A tribute to "Made in Italy", both in its production and its design. 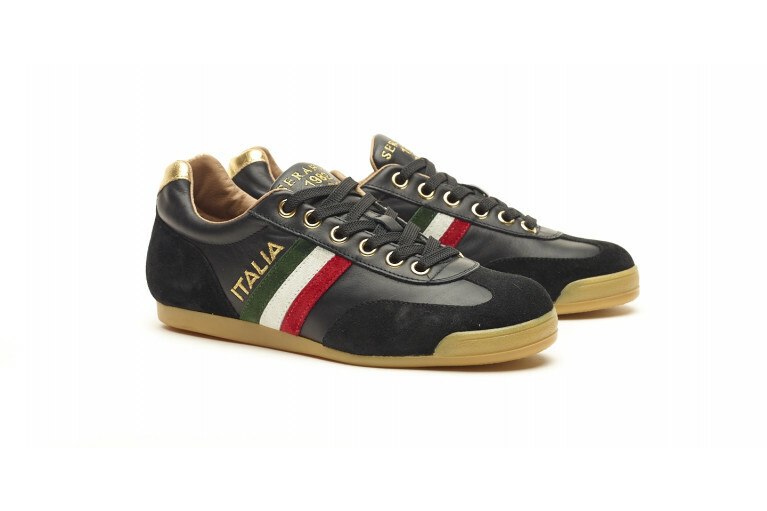 In this total black version, the Italian tricolour flag and the "Italy" embroidery on the heel are the main protagonists. 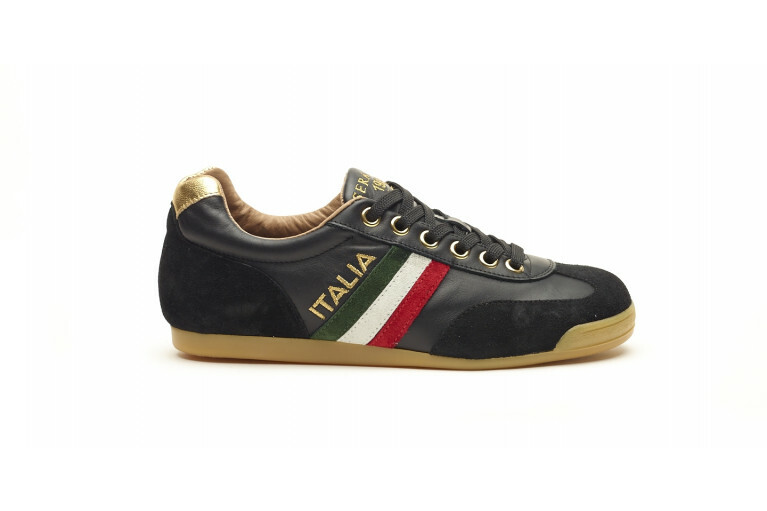 Our FLAT is elegant, comfortable and modern, a true "Made in Italy" shoe. 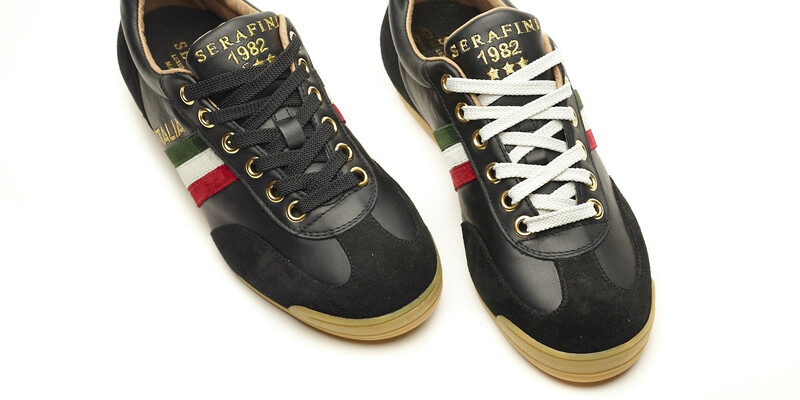 Inspired to the vintage collections of the '70s, it's Serafini's most iconic shoe since 2003. 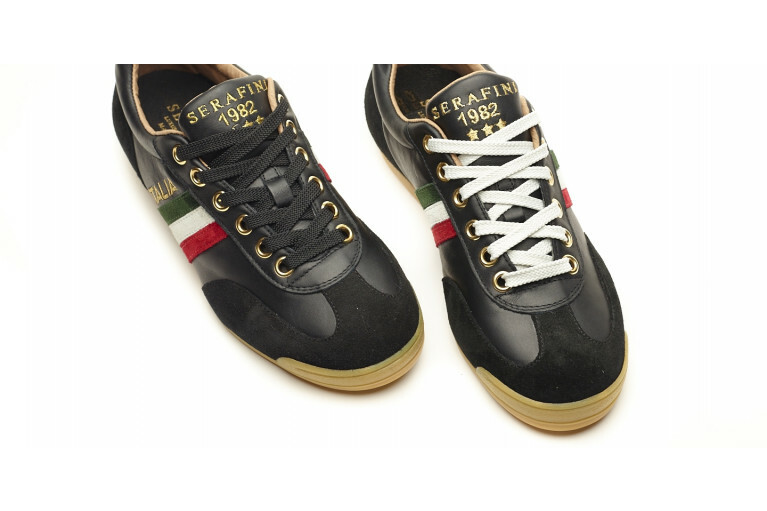 FLAT has also contributed greatly to Italy's footwear industry's history, as Fabrizio Serafini was the first Italian fashion designer to introduce a sneaker in the world of fashion: an exclusive model that is still a must have in every collection. 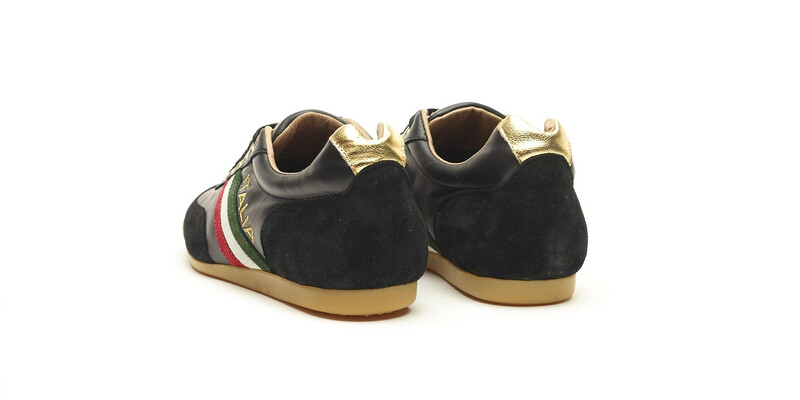 FLAT is at the same time original and traditional, conceived after a meticulous analysis of fashion trends, and produced with refined materials.